My daughter’s just loving these pierce free earrings. She didn’t have any holes in her ears and having these temporary tattoos is just awesome she said. They are really cute, stylish and colorful, which all kids love. 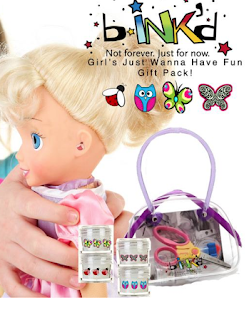 What she got is the Girls Just wanna have fun gift pack which has four tattoos called: glitter butterfly, lady bug, flower and glow in dark butterfly, it also has a microban scissor and water pen . She put them on her dolly’s ears too and these tattoos last for a couple of days. 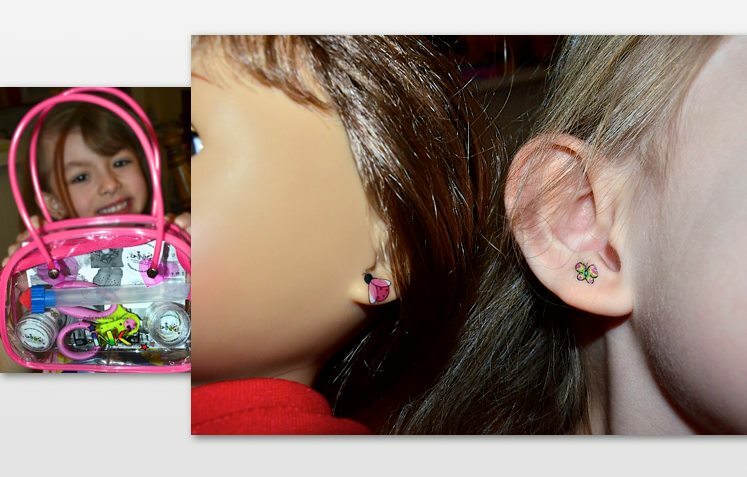 These tattoo earrings are safe, FDA approved and very easy to use. You can put them on your ears, nails, dolls or any part of your body. When you visit this place, you will see a great variety of gift packs at very affordable prices. 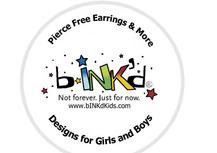 For more details, check out this place, binkdkids.com and their Facebook so your kids can have fun with these pierce free earrings.